My annual live music binge (aka SXSW) is coming up, and that means a little music research is in order. I poured through the imposing list of planned performers and pulled together a playlist to help me decide who I might want to checkout while I’m in Austin. This list definitely tilts towards my own musical interests, which I’d roughly describe as indie rock, indie pop, and indietronica with an occasional dose of alt rock and alt country. So if you’re heading to Austin (or want to check out some new tunes), check it out. There is a good mix of familiar bands (Cut Copy, Ghostland Observatory, Okkervil River, Superchunk), a number of acts I’ve seen in Austin in the last few years (Lo Moon, Lucy Dacus, Natalie Prass, Porches, Speedy Ortiz, Sylvan Esso, Wye Oak), and some artist I’m really looking forward to seeing for the first time (Japandroids, Morgan Saint, Sunflower Bean, Superoganism). But most of these acts are new to me, and that’s the fun of going from venue to venue in downtown Austin to seek out new acts. If you’re gonna be down there, let’s hang out and listen to live music together. 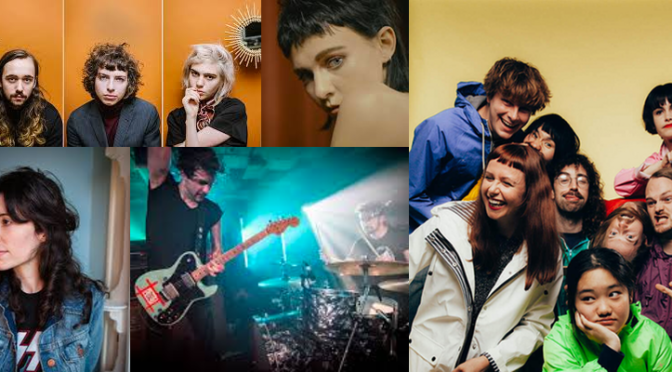 EDIT: I had a fantastic SXSW, and some of my favorite performances were Pale Waves, Dermot Kennedy, Pale Waves, Sam Fender, Tank & the Bangas, and Superorganism. Definitely check them out of it you can. You can find my playlist at SXSW Indie 2018 on Amazon Music. You can follow me and check out SXSW 2018 on Spotify.